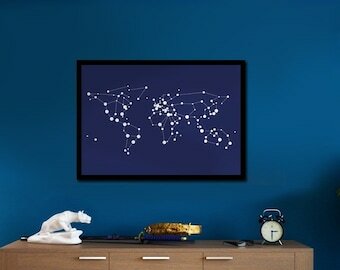 A unique mix between World Maps and Star Maps (Constellation maps) ! 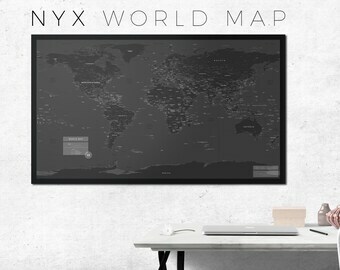 A dark and light map where countries are constellations and cities are their stars. 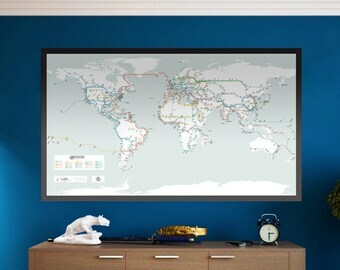 This artistic map will make you travel in Space on Earth. 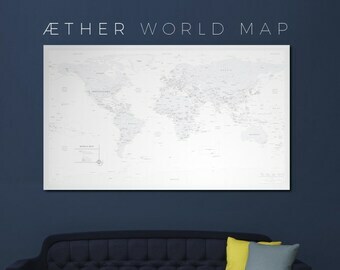 This map is an artistic World Map. I wanted to mimic Constellation Maps. 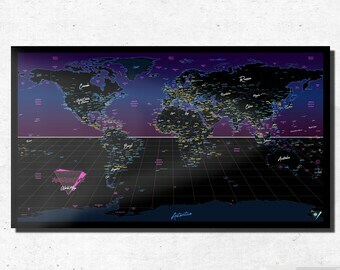 The overall aesthetic of the map is made to look like a Night Sky. Cities are linked to form Constellations (Countries or Geographical Areas). And to make it more immersive, all names are in Latin language just as real Star and Constellation names are. The map legend is in English. WHAT'S THE PURPOSE OF IT ? As a geographer and graphic designer. 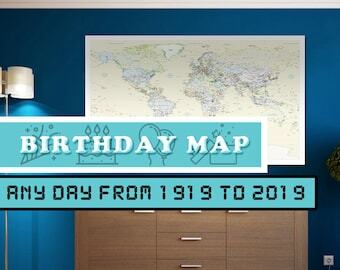 My maps are meant to be informative (they are geographically accurate) and decorative, they are aesthetic. 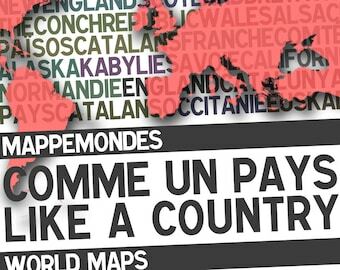 Even if you are familiar or not with Latin language, it can be fun to explore the World and discover city and country names in this language. It's also meant for those who want a unique decoration as it's really pleasant to look at. 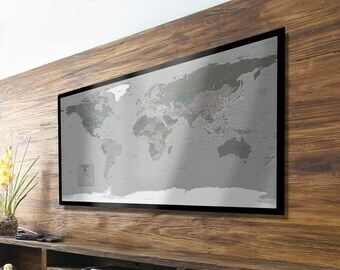 A World Map is something classic. 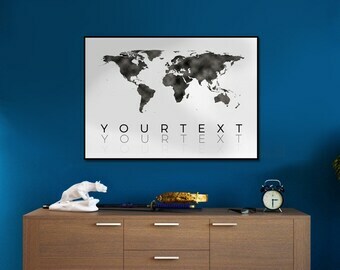 But this map is not. 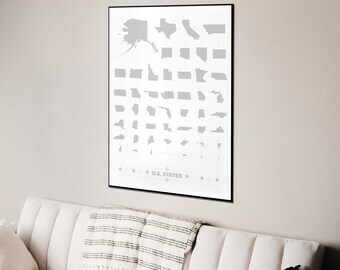 As the map is in Latin, it also can be for someone who is familiar with Latin. It can be a gift for someone or a gift for you : treat yourself ! 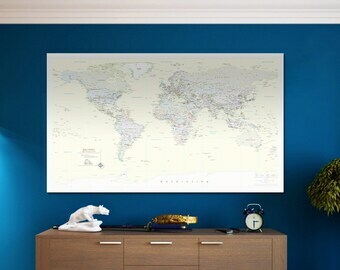 I'm a french geographer in my 30ies, I make all the maps myself. 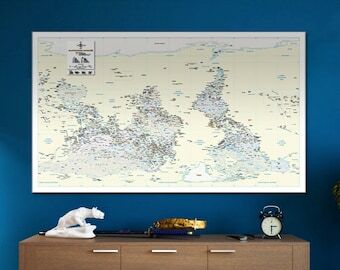 They are printed on HQ Gloss Paper which is strong enough to be hung on the wall with ease yet still being durable. The photographic papers allows this unique "night sky" look. Smaller maps can be made on some occasions, ask me about it. As a unique piece of art printed on special paper, the price is adapted to its making process. 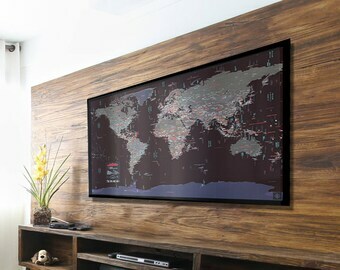 On March 2019, the price of the map is 74,21€. Shipping fees are based on French Postal fees for the special box it comes into (+ an insurance to prevent any problem caused by delivery services). As an individual artisan, I can't reduce this cost but I don't make any profit on those. CAN I CUSTOMISE IT ? / CAN I ASK YOU ANOTHER QUESTION ? My maps are 100% customisable. So yes you can. 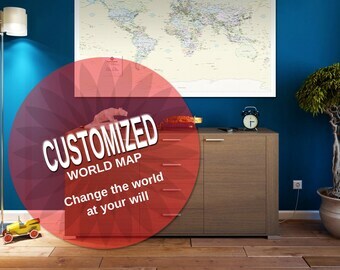 If you want further customisation such as changing city names, country names, making some very specific place to appear on the map (your village, your home town etc.). Ask me and send me a private message and for an extra fee, I'll be able to do it. For any other question, feel free to ask them to me. 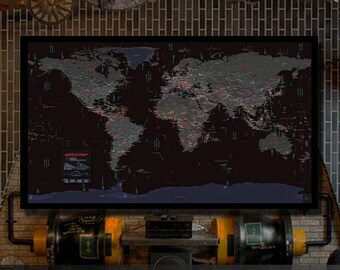 I hope you'll enjoy this map as much as I did to make it.